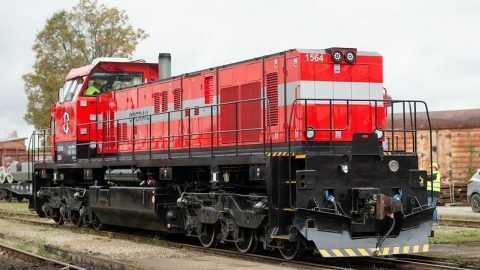 Estonian rail freight operator Operail (former EVR Cargo) will lease two C30-M shunting locomotives to Ukrainian freight forwarding company Lemtrans, part of the industrial holding SCM. The locomotives were upgraded at the operator’s workshop in Tapa, according to the design of Czech firm CZ Loko. Operail plans to lease more locomotives abroad. An agreement between Operail and Lemtrans was signed on 29 January. It is a new milestone for the Estonian operator, which demonstrated the first modernised C30-M locomotive in October last year. “It is important that we develop areas that are not narrowly tied only to rail freight transport, but that look at railway more broadly”, the CEO of Operail Raul Toomsalu said. Currently, the Estonian rail freight company is constructing the third locomotive and plans for more rebuilt units. “These first two environmentally-friendly and economical locomotives that are headed to Ukraine are just a tenth of our capacity. Currently, we are constructing a third locomotive, and the necessary agreements for the construction of four more machines have also been signed with our partners. In total, we plan to modernise nineteen locomotives in stage one,” Raul Toomsalu noted. Ukraine is the first foreign market for Operail locomotives. Lemtrans is the largest private freight forwarding company in the country. 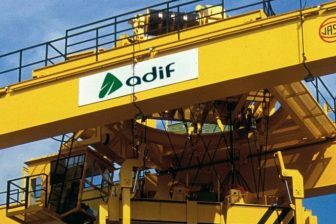 It owns more than 20 thousand open wagons and arranges transportation of 51.9 million tonnes of cargo (2017 data). Lemtrans serves primarily the DTEK’s power stations and the metallurgical enterprises of Metinvest (both companies also belong to SCM holding). The company’s traffic mostly consists of coal and iron ore. Besides Ukraine, Operail is regarding Finland as its potential foreign market. “The C30-M locomotives are very versatile and are suitable for both shunting as well as local haulage. In addition, they can be easily configured for the target market’s rail gauge, meaning that the Finnish market, for example, is also open to us”, Raul Toomsalu added. The C30-M vehicles were originally constructed by General Electric in 1976-1986 to work on the U.S. railway network. Initially, they were branded as C30-7A, and they were part of several North American rail freight companies, including Conrail, CSX and Norfolk Southern Railway. In 2003, Estonian national rail operator EVR (it was private-owned at that time) purchased 19 vehicles of this type. 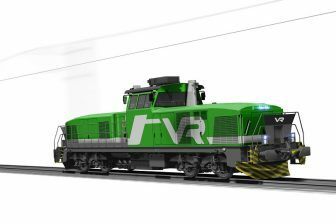 After the renationalisation and reformation of EVR, the locomotives became part of EVR Cargo. Operail together with CZ Loko started the 40-million-euro modernisation project of the C30-7A vehicles in 2016. The Czech company provided the design of the upgraded locomotives and supplied the kits for the comprehensive rebuild. The modernised vehicles were equipped with the Caterpillar 3512C HD diesel engine with a power output of 1,550 kilowatts. Each locomotive has six axles, weighs 138 tonnes and can speed up to 100 kilometres per hour. The vehicles are certified to work on the EU railway network.